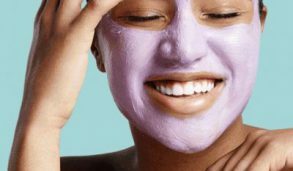 Nothing can match up to the vigor of best concealers of 2019 when it comes to treating under-eye circles, blemishes, and unsightly marks. 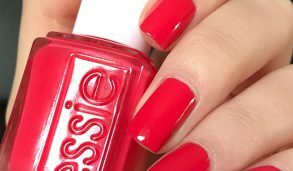 Maybe this is why they are considered to be the true-blue hero of makeup industry especially when it comes to hiding imperfections with a masterstroke. Today, we are going to take a look at seven best concealers of 2019 which you need to have in your makeup arsenal. You can now both lighten and brighten your skin with the silky serum concealer from Bobbi Brown. It is formulated using a blend of Indian Tree Root having healing and anti-inflammatory properties, Cordyceps Mushroom preventing wrinkles and Bamboo Grass which is rich in anti-oxidants. Coupled with such attributes, this concealer can even out the under-eye blemishes and promote natural radiance with continued usage. 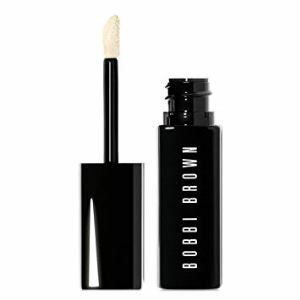 The medium coverage formula of the Bobbi Brown is one of the best concealers for all types skin can camouflage all forms of discolorations without coming off as too heavy. You can take your pick from the 21 different shades belonging to either the Peach or Bisque category. 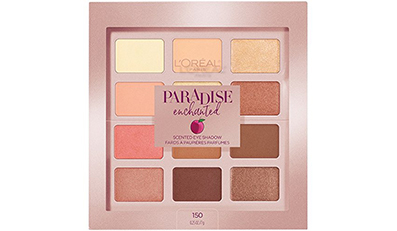 Women having purple or blue toned under-eye darkness need to opt for the Bisque category, whereas ladies having grey or brown under-eye darkness can choose the Peach ones. The versatile color selection of this best concealer of 2019 makes it pretty easy to find the shade which flatters your particular skin tone. You can primarily apply the concealer through its doe foot applicator and blend it smoothly using either your fingers or a brush. The Intensive Skin Serum Concealer follows a repair mechanism to ward off excess pigmentation and re-energizes haggard looking skin for that plump and refreshed feel. Its weightless texture makes the Intensive Skin Serum Concealer perfect for being layered over all forms of the corrector. If you are on the lookout for a makeup which does not mess with your natural look, then the Fit Me concealer from Maybelline New York can serve as your best bet. Fit Me is considered by makeup moguls as one of the best concealers in 2019 as it is free from all forms of waxes and oils. It thus renders a natural form of coverage which leaves your skin feeling fresh and hydrated round the clock. The lightweight pigments and exclusive translucent base of the Fit Me concealer allow the natural highs and lows of your skin to be revealed while matching your particular skin tone seamlessly. You can also trust this ophthalmologist tested, dermatologist tested, non-comedogenic and fragrance-free concealer to keep you buffered from all sorts of skin irritations thus making it a safe bet for those having sensitive skin. Coming to the department of pigmentation, this wallet-friendly concealer packs in a sonic punch as it brightens up the skin and conceals all blemishes with its illuminating formula. You can take your pick amongst the 12 different shades varying from light to dark. With 4 hours of longevity, this lightweight concealer retains its natural flair even when applied over foundation. Various undertones such as neutral, yellow, cool and pink are accommodated under its shade palette. 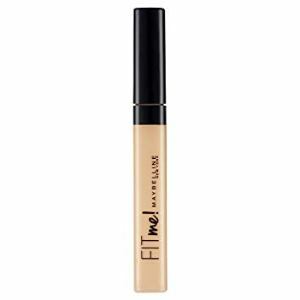 Although the best concealers of 2019 from the house of Maybelline Fit Me provides medium coverage, you can definitely build up the same. The best thing about this concealer is that you can even opt for a lighter shade as a highlighter. Hunting for the perfect concealer can be a pretty tasking job, especially with a large number of variants available in the market. While some might seem too sticky, others might come off as too light or maybe too pink. In such a scenario, the NARS Radiant Creamy Concealer can come to your rescue with its profound versatility which can cater to a plethora of skin types. You are bound to feel spoilt for choice with 16 different shades for taking your final pick. The NARS concealer for all skin types is infused with Vitamin E, magnolia bark extract and grape-seed extract. Such attributes help it in both covering blemishes and treating them with continued usage. 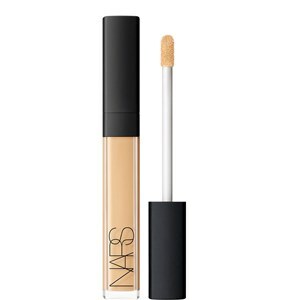 The NARS concealer can be applied easily with its wand applicator and carried around in a seamless fashion in your clutch or purse for touch-ups whenever felt necessary. Coming to the department of coverage, just a little bit of this concealer can go a long way. This concealer can serve as the ultimate godsend for ladies suffering from hyperpigmentation. The diverse shade options also open up new possibilities of highlighting and contouring your face with the best concealer of 2019 from the house of NARS. This lightweight concealer comes with a creamy yet lightweight consistency and you can layer it atop your regular foundation. Most of the concealers available in the market tend to get cakey when applied in excess. But, this is not the case with the best concealer from NARS. 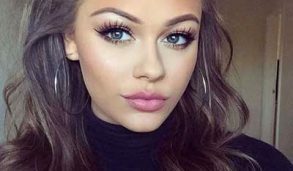 All you need to do is apply this concealer using a beauty blender and dab on some pressed powder for a bright-eyed look throughout the day. The multi-active botanical blend of the NARS Radiant Creamy Concealer can reduce the appearance of redness by adequately hydrating your skin and promoting moisture retention. It is also free from parabens, sulfates, and phthalates thus making it one of the ideal concealers for all types skin. Your search for the best concealer of 2019 ends with super dewy bareMinerals Bareskin Complete Coverage Serum Light concealer, which can nourish your under-eye zone along with covering up blemishes. 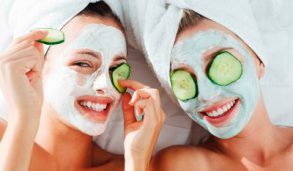 Its hydrating humectants tends to minimize the skin pores for a smoother finish. You can expect this concealer to keep your back for a stretch of 7-8 hours, which is more than enough given its price tag. The concealer is available in six different shades each of which guarantees a silky-smooth coverage by merging the goodness of serum and concealer into one. The mineral coated optical pigments from the house of bareMinerals can diffuse the appearance of dark circles and similar imperfections to brighten up your entire look. It is formulated using antioxidant-rich Lilac plant stem cells which can cure your existing skin conditions and prevent its recurrence with continued usage. In spite of having an ultra-lightweight feel, this best concealer of 2019 does not feel drippy. 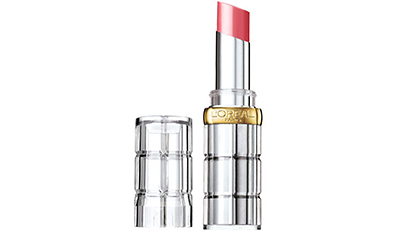 It comes in a tube having a lip-gloss like a wand which makes its application super easy. 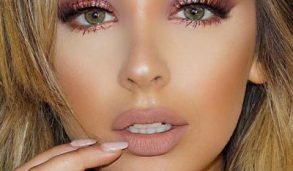 As the name suggests, the main motive of this concealer is to make your skin look naked so that you can pass off easily with that no-makeup look. This discreetly opaque concealer guarantees a creamy and lightweight finish while camouflaging all your blemishes like an absolute pro. 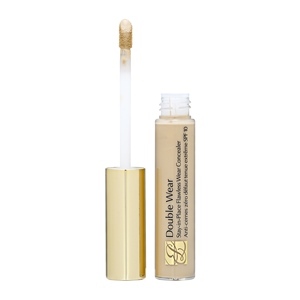 The fragrance-free, water-resistant and non-acne genic attributes of this concealer make it ideal for all skin types. 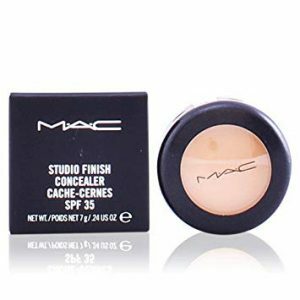 All it takes is just a tiny amount of the highly concentrated MAC Studio Finish concealer for treating all forms of discolorations and imperfections. Its opaque coverage can cater to moles, birthmarks, tattoos, dark circles and similar blemishes thus leaving you with bright and radiant skin you always craved for. 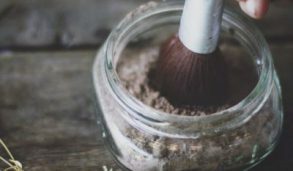 This MAC concealer for all skin types is infused with antioxidants like Vitamin E and A along with silica extracts which enhance the ability of your skin to absorb all essential oils. The manufacturers of this dynamic concealer have added another feather to its cap in the form of SPF 35 which can make you ready to enjoy the sunshine on your shoulders without having to worry about getting tanned. You can apply the same using a wet sponge, firm fiber brush or your bare fingertips following which it can keep your back over a stretch of 6 hours. Another worth appreciating fact about the MAC Studio Finish concealer is that it does not settle into fine lines around the eyes even if you have a naturally oily skin texture. In spite of being a full coverage product, it does not lead to a cakey feel and can actually prevent the further growth of dark spots by acting as an umbrella. You can cover up all imperfections without giving out your secret coupled with the best concealers of 2019 by Urban Decay. The weightless concealer guarantees an even and luminous coverage while radiating a demi-matte finish. The high-tech formula of this innovative concealer requires just a minute’s time for providing you with the coverage of your dreams. The best thing, however, is that you can keep on building the coverage irrespective of the quantum of concealer applied on your face. 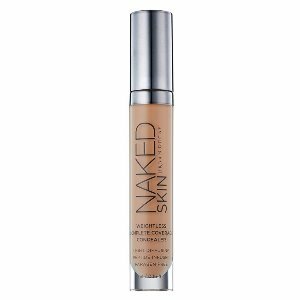 The Naked Skin concealer is loaded with anti-wrinkle peptides which can enhance the youthful glow of your skin along with its elasticity. This weightless concealer also comprises of Japanese green tea extracts which revitalize the skin to reduce the appearance of fine lines. Litchiderm on the other hand derived from Lychee fruit is another vital component of this best concealer of 2019 which adequately hydrates the skin for a radiant look. The moisture retention capacity of your skin gets ensured by sodium hyaluronate making it the ideal choice for those suffering from acute dryness. The Naked Skin Concealer is available in a variety of meticulously calibrated shades all of which coordinate with the Naked Skin Powder Foundation to complete your base makeup routine. Estée Lauder’s Double Wear Stay-in-Place Flawless Wear Concealer serves as the ideal choice for dry and aging skin as it provides lasting coverage which does not come off as cakey. This budge-proof and easily blendable concealer for all skin types is formulated using a plethora of emollients and minerals which condition your skin and leave it feeling silky smooth. The transfer-resistant and oil-free formula of the Estée Lauder concealer can keep you buffered even on being worn to humid areas where you might perspire a lot. 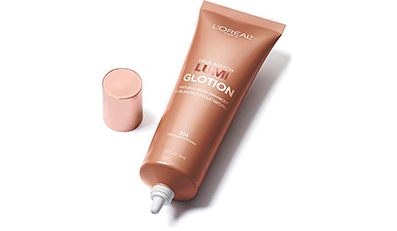 Its creamy and lightweight texture blends in effortlessly for that flawless finish in just a minute’s time. It also ranks pretty high in the department of coverage thus seamlessly camouflaging all blemishes in spite of guaranteeing a barely there look. This concealer sets even without the application of any powder atop the same thus further adding to its lucrativeness. You can take your pick amongst the eight different shade options of this best concealer of 2019 ranging from light to extra deep and each varying in terms of undertones. In spite of being oil-free the Estée Lauder concealer seems utterly hydrating on the skin. 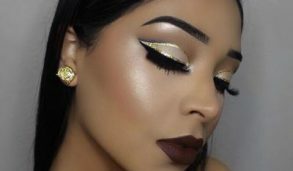 It can also serve as a potent eyeshadow base thus adding up to your options and pigmentation level of the colors applied on your lids. Concealer serves as the holy grail of makeup aficionados around the world whether they are trying to build up sheer coverage having a brightening finish or a heavy-weight camouflaging effect to hide your last night’s sleep deficiency. You can think of the best concealers to be a lot like magic erasers serving the purpose of perfecting your face.